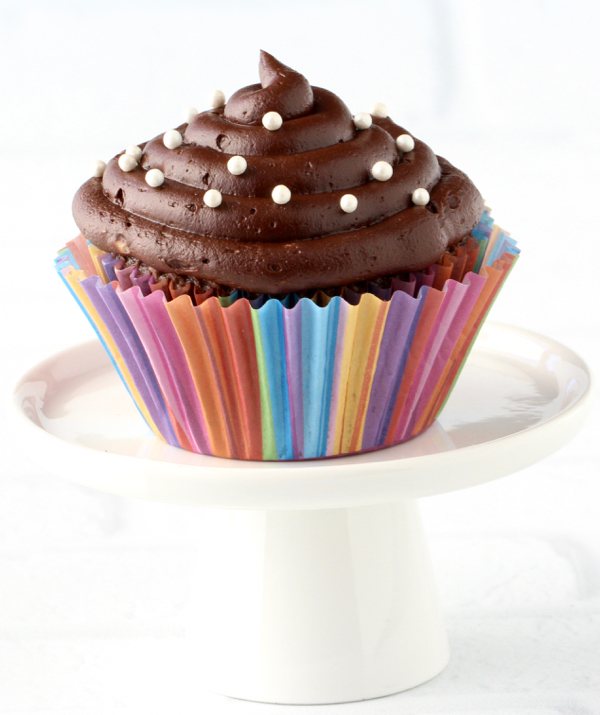 Something magical is about to happen when you make this easy Chocolate Frosting Recipe with Cocoa Powder! Once upon a time, I was the girl who purchased store bought frosting. But then one day, everything changed. 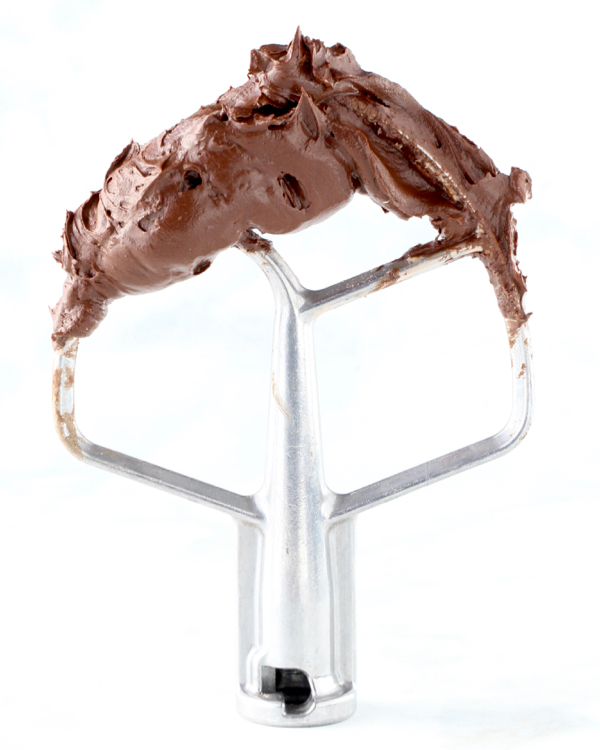 It’s a true story, once I met my new best friend… this Easy Chocolate Frosting Recipe with Cocoa Powder, my chocoholic tendencies were taken to a whole new level of decadent cocoa bliss! 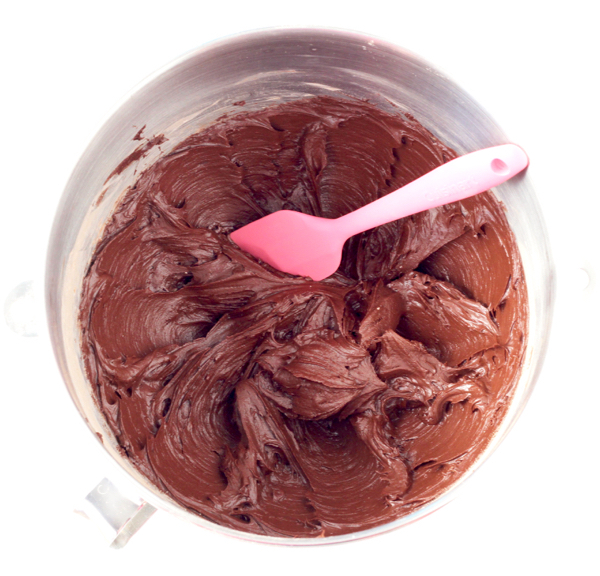 I mean come on… there’s just something so dreamy about rich, velvety, luscious homemade chocolate frosting! 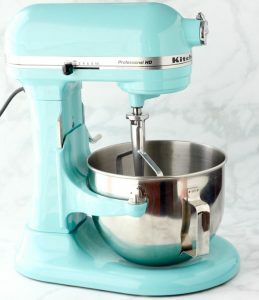 It’s perfect for Cake or Cupcakes, and is so much easier to work with, too! I found myself exclaiming… “this is the best chocolate buttercream frosting I’ve ever had in my life!” And if you really must know, I’ve had a lot of frosting over the years! So if you’re looking to take your cakes and cupcakes to the next level, you’ve GOT to try this! Just 5 Ingredients, 5 minutes, and you’re done! Does it get any easier than that?!? Related: 5 Ingredient Desserts – 100 Ridiculously Easy Recipes! In medium mixing bowl, stir together Cocoa Powder and Confectioner's Sugar with a whisk until well combined and large clumps are broken up. Using mixer, cream the Butter until smooth. Pour Cocoa/Sugar mixture into the bowl with creamed butter, and continue mixing on low speed. Add in Vanilla and gradually add in Milk, and mix first on low, then on medium speed until you reach your desired consistency. * You'll want to scrape down the sides and bottom of your bowl with a spatula to make sure everything gets well combined. Then once done mixing, stir well again with spatula to break up any air bubbles. 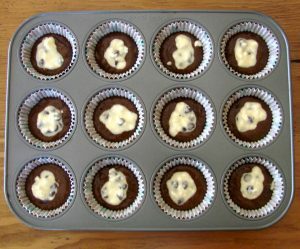 Immediately frost on your cooled cake or pipe onto your cooled cupcakes. ENJOY! Recipe can be easily doubled for larger multi-layer cakes or big batches of cupcakes. Use these tips for How To Soften Butter Quickly! Wasn’t that easy? 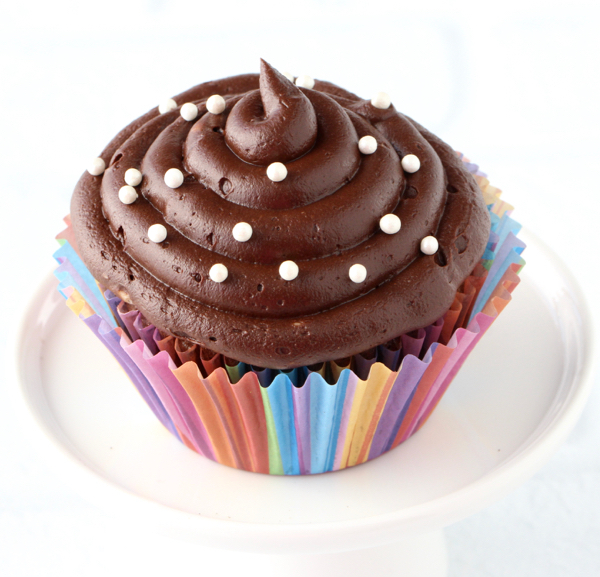 This easy chocolate frosting recipe with cocoa powder will become your go to buttercream icing now. Fast, simple, and BEYOND delicious! 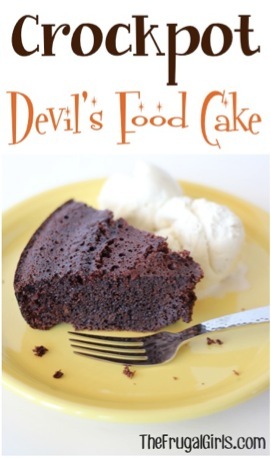 Have fun devouring chocolate without all the guilt when you make this easy Crockpot Devils Food Cake Recipe! Skinny Chocolate Cake Recipe for Guilt-Free Indulgence! Today we indulge! This Skinny Chocolate Cake Recipe is proof that good things should never be skipped! Stock up on loads and loads of helpful ideas for making cooking and baking in your kitchen… EASIER!! These recipes are easy, all of them are delicious. Many even take less than 5 ingredients! 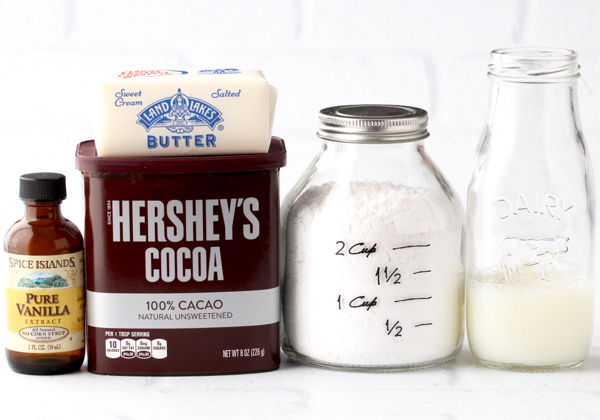 Are you ready for one seriously fun list of 5 ingredient dessert recipe fun? 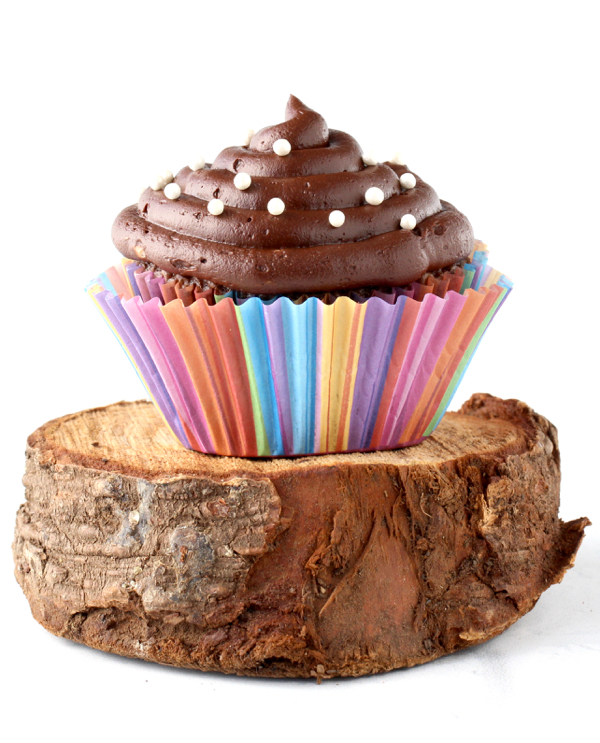 So have you tried this Easy Chocolate Frosting Recipe with Cocoa Powder?